Welcome to Life List Friday! It’s time to blog hop with the Life List Club, a fun event we do every other Friday. This is a continuous chain of inspirational, fun posts and we hope you’ll participate with all eight of us (there’s a list in the lower right sidebar)! 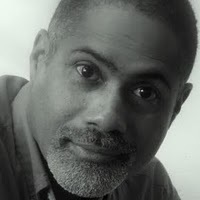 Today, I’ve got Gary Gauthier here at More Cowbell, giving his thoughts about self-publishing (a VERY hot topic). In the meantime, I’m over at Sonia Medeiros’ blog discussing The Most Important Writing Lesson I Ever Learned. I hope you’ll click on the link to come see me when you’re done reading Gary’s post. A guest post by me at your blog. An interview of you and promotion of your cause/site here at More Cowbell. p.s. For information about the Deja Vu Blogfest, read to the very bottom of this post. I recently ran an Internet search for “reasons not to self-publish” and ended up reading Edan Lepucki’s attempt to answer the query in a blog post. In my opinion, her tone is one of partial jest, but the response was voluminous and some of it harsh. Nowadays, anyone can publish. And as the number of available ebooks grows, systems for finding the books you like will improve and become more sophisticated. Book sellers have an incentive to make it as easy as possible for you to find the types of books you like. Ereader use will proliferate and further entrench ebooks as the readers become available in Wal-Mart discount bins for the price of calculators. Is Traditional Publishing a Viable Option? After some consternation at not finding satisfactory “reasons not to self-publish,” it dawned on me that there is a problem with the proposition itself. Having reasons not to self-publish makes it sound as though there is a viable, competing alternative. But in reality, this is a fallacy since the option of traditional publishing is truly available to only a few. Most writers can choose the traditional method of publishing the same way a freshman in college can choose to become a professional athlete or the CEO of a large company. It’s certainly possible to achieve either goal, but how many freshmen are realistically in control of these outcomes? The real choice is whether a writer wants to query publishers. A professionally edited and formatted manuscript is only the beginning of the query process. The savvy know it takes a tremendous amount of work and a portion of luck just to get noticed by a publisher. Mark O’Bannon’s The Odds of Getting Published compares getting a publishing contract to winning the lottery. Publishers make decisions based on market opportunity. The reason public figures so often receive publishing contracts is because there is a ready and waiting market for their books. A publisher’s priority is not the next great story or a literary masterpiece. Works by Pulitzer-winning journalists, retired politicians, professional athletes and rock stars are more likely to sell. Other than someone with potential access to a worthwhile market, publishers look for books that fit into a mold that has proven its ability to sell. While academic professionals need to publish for career-related reasons, most don’t write novels or mass-market non-fiction. They write articles that are published in journals which circulate among their peers. The true value of a book is its content. Because of ereaders, the concept of a “published book” will gradually change. New systems will evolve to judge books on their intrinsic merit. Awards and endorsements will help legitimize and facilitate the process. Traditional publishing houses will have to reinvent themselves or become less relevant. Self-publishing empowers writers as never before and I believe the coming changes will inspire and unleash a torrent of creativity. High quality, self-published works will become more and more common as ebook publishing matures. New software will make formatting a cinch. Yes, writing talent is still valued and will remain in demand. Some basics won’t change. The reason for the misconception that only a publisher can produce a well-written and properly formatted book is because, until recently, they had an effective monopoly on all published works. Publishers don’t train or groom writers and don’t have a unique ability to edit books, format them or design great covers. The problem they solve is mostly one of scale and distribution. 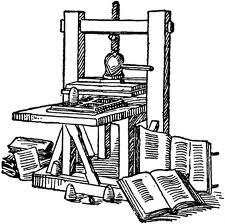 Before ebooks, the amount of capital required to print a large number of books, market and distribute them, made self-publishing infeasible. It is now affordable for an author to hire professional help for all the steps needed to publish a stellar book. Deciding to query publishers is a personal decision. Have you thought about whether you want to invest time and effort to query publishers? Do you believe some of the items I have speculated about are likely (or not likely) to happen? Gary Gauthier is working on his first novel, a crime thriller set in New Orleans just before Hurricane Katrina’s landfall. His blog, Literary Snippets, gives him an opportunity to express and share his appreciation for art and literature. He occasionally posts articles as well. Some of his favorite writers are Thomas Hardy, Charles Dickens, George Eliot, Nathaniel Hawthorne and Edgar Allan Poe. But this changes from time to time. Stay tuned! Follow Gary on Twitter and Google Plus! This entry was posted in Contest, ePublishing, The Life List Club and tagged Big Six publishers, Gary Gauthier, indie authors, Jenny Hansen, More Cowbell, publishing, Self-publishing, writing. Bookmark the permalink. Well done. It will take time, but there will eventually be a more widespread understanding that what publishers do isn’t some esoteric, supremely difficult kind of magic. Anyone with a good grasp of language, and the willingness to improve at their craft and to learn new skills can publish their own work. Catana, I agree with the way you put it. Sure, there is a lot of work involved for a self-publisher to put together a high-quality book. No one is arguing that it’s easy. With professional assistance, the job becomes manageable. It bears keeping in mind that self-publishing may not be for everyone as some are more entrepreneurial than others. Wonderful post Gary (thanks for hosting Jenny)! I really enjoyed it. To be honest, publishing is so far into the distant that I rarely take time to really think about what I’d do. I figure by the time I’m ready for that step (at least a year if not more) the landscape could change 10-fold so there’s no point making hasty decisions right now. However, let’s say I did have a book ready to publish. I think in this climate I would do both. I would self-publish but meanwhile, I would query publishers to see if I could get a bite. Something like what Torre DeRoche did http://www.fearfuladventurer.com/archives/5940. I think my attitude would be if I landed a publishing contract (fahhhbulous). If not, that’s ok. I’d just keep writing and self-publishing and let the cards fall where they may. Thanks for commenting Natalie. I am often baffled by those who say it’s either a publishing contract or bust. You attitude takes all possibilities into account. Thanks Amy! I’ll take that any time! Very interesting! Although I’ve written for years in the form of blogging and other online pursuits, this year was the first time I wrote a book, attended a writer’s conference, and sought publication. Much of what you say rings true (ie, getting a contract being similar to winning the lottery). Had I known this months ago, I would not have invested so much time writing a proposal, sending out queries, etc. I feel that the main benefit a “real publisher” would offer is the publicity — my book in a catalog, in bookstores, etc. Thanks for a very well-written and thought-provoking post! Thanks for sharing your story. 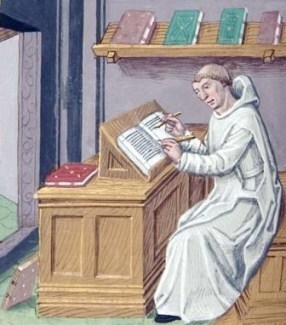 If you had enough faith in your manuscript to query, it probably has some merit. Work it! Very good post. One thing to consider is an e-publisher. While they still have stringent guidelines, they are more open to new authors and more author friendly. I’m querying agents, but the MS is out to several e-pubs, and to be honest, they’re my first choice. Even though they’re still in the reading stage, I’ve had personal contact from everyone I’ve queried, letting me know they received it, looking forward to reading it, etc. Doesn’t meant they’ll offer me a contract – not by any stretch. The book still has to stand on its own. But that small extra effort made a difference to me. That’s not to say agents are bad. I’d love to have one WANT to rep me, to believe in me enough. It’s just hard to get to that point because it’s not all about the writing, unfortunately. As for self-publishing, it’s definitely a viable option and growing more and more respected. I still think a big key to self-pubbing success is having titles ready to go within a couple of months of each other, and I’m not at that point yet. So I’m querying, and I’ll see what happens. Also, the business end makes me nervous. I realize that no matter what publishing road I end up on, I have to do the majority of the marketing on my own. But the idea of financing a good editor and cover artist makes me nauseated, lol. Thanks for visiting Stacy. Long-winded posts are welcome! You make some great points. E-publishers do provide a valuable service and I consider it a form of self-publishing with the help of professionals. I’ve heard it often said that authors “have to do the majority of the marketing,” no matter the road. And yes, it all has to make business sense in the end! Fascinating post! I haven’t queried publishers, but I queried many ‘o agent. Thankfully, my efforts paid off. I definitely see self publishing as a valuable option for many, particularly for people who’ve written fantastic, publish-ready books and hopefully gifted (or willing to work their butts off :)) at self-promotion and simply haven’t found a publisher or agent willing to stand behind their work. I second Natalie’s point: It’s a fantastic time to be an author… Like the Wild West of publishing. Thanks, Gary and Jenny! Thanks for visiting August. Anyone who is gifted, willing to work their butts off and promote themselves sounds like they have a winning combination no matter what road they take. There are no substitutes for talent and hard work. Good post, Gary. I especially loved the analogy of the college freshman becoming a pro athlete or CEO. One other point – with traditional publishing the author gives away up to 91% of the proceeds to the publisher and agent. Not so with e-pubbing. Thanks for visiting David. I didn’t get into the dollars and sense of it, but you make a good point about the percentages. Depending on individual circumstances, it could cut both ways. An author may end up earning more with a publisher even at the lower percentages. The continuing decline in the sales of paper books makes me pause and wonder at the value a traditional publisher bring to the table for the average author who is out there querying. The more I look into it, the more I find that what agents are looking for are writers with large numbers of twitter and blog followers. So far, I’ve limited my querying and submitting to the realm of short stories and have been weighing the pros and cons for when the time comes that my novel is ready for the world. I lean more and more towards self-publishing for this first-go-round. I am seeing it as an opportunity to learn something I wouldn’t otherwise – how to successfully market my book. But I want that first venture to be something I can point to in queries for future books as a success – not a languishing Kindle offering I threw out there into the world. Thanks for visiting Pam, If you can get a first publishing contract, you’re in! and the second one should probably be a little easier. I agree with Natalie about going both routes. I queried first before self-publishing. It was a good experience, and the skills you need to learn for the process will come in handy if you decide to self-publish. Thanks for commenting Angela, There’s no doubt, the more you learn about your writing, the publishing industry and the market for different types of books the better off you are. I couldn’t agree with you more. I don’t want to be ‘molded’ by anyone but my readers. If I present my true self to readers and offer them something of value, a percentage of all readers will be drawn to me and will take a chance on my books. If my books are great reads, I have an opportunity to gain even more readers. I like having that kind of control, though it’s an awesome responsibility. I also see no advantage to giving up my profits on my work or my input with regard to book cover, title, etc., to a publisher. I’m not alone in that feeling as so many established, traditionally published best-selling authors are now moving to the self-publishing realm. Very thoughful post, Gary. Thanks. Hi Marcia! LOVED your comment. You have the heart of a true creative artist. It’s people who had sentiments similar to yours and were not allowed to exhibit there paintings in “respected salons” that started the impressionist painting movement. Follow you heart! I’m thrilled that self-publishing has become a viable option for authors. Yes, there are authors who will just publish anything but, as long as the author is putting out a polished, professional piece of work, self-publishing offers the author a lot of opportunity for control of his/her work. Traditional publishing still has it’s place but I’m no longer convinced that it’s always the way to go, even for a first time author. Hi Sonia, thanks for commenting. I laugh at people who pay 99 cents for a book from an author they never heard of and are disappointed that it wasn’t a well-crafted and professionally edited work. And from that experience, they are convinced that all self-published books have no value. If you want to read a really good book, get a recommendation from someone whose opinion you trust!! Thanks for visiting Jennie, Keeping all options open is always a smart thing to do. I agree that it’s a great time for writers, so I don’t rule out anything when it comes to publishing. I’m very grateful to the pioneers who are figuring out the best practices for self-publishing too. Thanks for commenting Bridgette. It is definitely a shifting landscape and if writers focus on what they do best, at the very least they’ll have a great manuscript or two. I’m a big believer in surveying the landscape and keeping all options open. I think this is the best time to be a writer of any of our lifetimes. The main goal is to write the best books we possibly can, but if an agent/publisher, etc. is not willing to take a chance on a newbie and your readers (like 20 non-family members) rave about the book, there is absolutely nothing wrong with taking matters into your own hands. Thanks Jenny, I agree with you 100% regarding the opportunities for writers. As far as agents and publishers not wanting to take a chance, an excellent self-published book can turn the tables on them. See my previous comment and the link. You may be quite right that self-publishing is in the process of becoming a good option. The problem is that it is not the best option right now for some genres and some people. There are still many barriers. Some of the best reviewers won’t review self-published. Bookstores (which are important sales avenues for many genres) take few self-published books. Many awards won’t take self-published entries. That makes self-published books harder to promote and sell. At the same time, I agree that the query system for traditional publishing is also a major barrier, and that publishers don’t promote most books very much (though they can get them into stores). It’s a matter of which set of barriers can you best overcome. Thanks for the excellent points, Glen. I agree with you that it’s about surveying the terrain and coming up with a strategy to overcome the barriers. Great post, Gary. You raise issues that I haven’t seen addressed anywhere else. At this stage, authors still have a choice, but it seems the market is leaning toward e-pubbing and self-pubbing. Thank you, Gary (and Jenny). I needed this reality check. Thanks for visiting and commenting, Fabio. Having the time and ability to market yourself and your work are certainly a big issue for self-pubbers. As with all business decisions, there are trade-offs and unique circumstances to take into account. Thanks for the article — I agree that publishing is changing and ebooks are radically re-inventing how we see books and publishing. However, I must disagree that publishers don’t train or groom authors. Publishers employ editors, and I have learned an enormous amount from my editors, both at a traditional publishing house (Disney-Hyperion) and at a new, boutique publisher (Entangled Publishing). Can you hire freelance editors? Absolutely. The operative word being “hire.” Great editing isn’t free, but it makes a huge difference to the quality of your and to your development as an author. I believe this remains one of the most overlooked aspects of self-publishing. Thanks for visiting and commenting Inara. I wonder who is spreading the false idea that editing, layout, marketing and cover design are free services. Such an insightful post, with a lot of great points. I’m still at odds, though. I’m just not sure what I want to do once I’m ready for this step. In the end it’s going to be about weighing the options and seeing which one works the best for me. Thanks for commenting MN. Focus on preparing the best manuscript you possibly can and keep an open mind. The right decision will come to you without much effort. I have been self-publishing print books for over 20 years and make a very good income at it (around $100,000 of pretax profits a year). I published one book on Kindle and am not impressed with the sales. I know of several authors whose ebooks have sold fewer than 25 copies on Kindle. There are obviously tens of thousands of ebook authors with the same results. There are tens of thousands of delusional people out there who think that they are going to make a great income from self-publishing ebooks. Sure, industrious and creative people such as John Locke make a great income but the vast majority won’t. John Locke is much more industrious and creative than 99 percent of the population. In other words, if you are going to be successful at any venture, you better be doing what the vast majority is NOT doing. And one of the things that you have to do that the vast majority is not doing is “creative marketing” for your book. By “creative marketing” I mean no copycat stuff! Creative marketing is what I did to make my self-published “How to Retire Happy, Wild, and Free” the best-selling retirement book in the world that far outsells all the name brand retirement books such as “The AARP Retirement Survival Guide”, “What Color Is Your Parachute for Retirement”, and “The Wall Street Journal Complete Retirement Guidebook”. Fact is, even the marketing plan for my “How to Retire Happy, Wild and Free” is still in its initial phases and developing at this point, eight years after I self-published it. I have sold only 150,000 copies worldwide and my goal is to eventually sell 500,000 copies worldwide. In short, most authors (more than 95 percent) have never made much money from their writing and have to work at a “real job” to earn a living. The opportunity to self-publish ebooks will not change this simply because most authors are not willing to do the work that is required to market their books in truly creative ways. Seth knows what he is talking about given the results that he has attained in marketing his books. Ernie, I absolutely agree with you that it essential for an author to market themselves. And you are also right in pointing out most writers don’t make much money. But I don’t see how that changes anything I said in the blog post. Fascinating information, Gary. Goes beyond what else I’ve read about the publishing industry. I hope like you said the trend changes and systems become easier to use but that it will push editing and quality product as well. You certainly gave us lots to think about. Jess, thanks for visiting and for your comment. it is the writers who have the talent and put in the grunt time that will create quality books. I did some queries trying to get an agent, then went the self publishing route. I’m SO incredibly thrilled that’s how things worked out for me. I have no desire to try and find a agent. (Unless it’s to sell movie rights at some point.) I have complete control over my books, my release dates and my author platform. Also, If I were to get signed today with a major publisher, my book probably wouldn’t release until late 12 or 2013. In the meantime, my first book is #63 on the Kindle contemporary romance list, my second book releases in January, and I will release two more books in 2012 as well. I want to be an established ebook writer before everyone else decides to get in the game. Thank you for sharing your inspirational story Lillian. The reactionaries to self-publishing like to point out that it’s not easy, (there’s hard work involved), and there’s a chance your books won’t be successful. What worth-while enterprise is easy, fun and guaranteed of success? This is timely. I just had lunch with a friend who is a small publisher about a week ago. What she told me sort of stunned me although it should not have. If she gets in two similar stories she likes, the tie breaker is the person with the most followers on Facebook. Great, just great. I don’t like Facebook and I’m never gonna. I have about twenty followers if that and honestly? Even after her comment I’m still not going to stress over it. All I can say is that it’s a good thing I do have other options such as self-pub. Thanks for commenting Angela. Investigate all options, resources and services that are available to you. All publishers have to deal with the business realities they face and I don’t begrudge them. On another front, depending on the size of an author’s following, it may be one less reason they need a publisher. The trade-off at some point becomes a sizable advance from a publisher. Informative and interesting post, Gary. We all know that any healthy market is based on competition. That being said, traditional publishing houses no longer have an absolute monopoly on the book publishing. Self-publishing truly empowers writers by offering them this unique opportunity of giving the readers books that the traditional publishing houses are not interested in. Personally I am planning to travel the road to the traditional publishing first, and, if I’m not successful, I will definitely look into self-publishing. The main gist of the Millions piece is that she’s a literary writer, and this absolutely is better suited for traditional publishing than self-publishing at the moment. Eventually, every type of reader will read ebooks, but so far genre writers are much more successful. That’s not surprising – there are more readers of commercial writing in all formats, but when you narrow it down again via ebooks it gets even harder to reach people – it’s a niche within a niche. This may change this holiday when a bunch of new readers get Kindles, but so far it’s a tougher road for non-commercial writing. I wrote a comment on that post saying if you’ve got the patience to query, go for it. Me, I’ve run out of patience. Great post. I never tried the trad route for my books and I’ve learned from that. Those agents and publishers do provide valuable services. They aren’t just middlemen or gatekeepers. To be a self published writer, you can’t JUST write. You also must do what the trad folks do. You must get a cover artist and you must get editors and proofreaders if you want a professional quality book. I’m doing this now but only after a false start. I think indie is the wave of the future because it is better for authors in terms of control and royalties. Trad will still remain the route for those who don’t wish to take on the extra work the trad folks now do or who don’t want to make the upfront investments needed to self publish a professional quality book. I’ve been listening to a lot of podcast interviews lately, and I’ve heard a number of traditionally published authors, many with 20 years or more in the biz, suggesting that the best route today may be self-publishing. Not everybody is going to be a success, of course, but if you can put out good work and build up a fan base, you’ll then be in a position of power when it comes to negotiating for a traditional publishing contract (lots of “indies” have turned their success into 6-figure publishing deals). Of course, you may decide in the end that you’re making good money on your own and don’t need an agent or publisher… 😉 I’m at the able-to-make-a-living-at-this stage myself, and I’m not sure what I’d do if an agent or Big 6 publisher approached me. It certainly wouldn’t be the no-brainer decision it would have been once.